Day bar and "urban cuisine", music live shows (electro, jazz etc.) and food related events. Locals in Bucharest have reviewd Madame Pogany Snack in Bucharest. 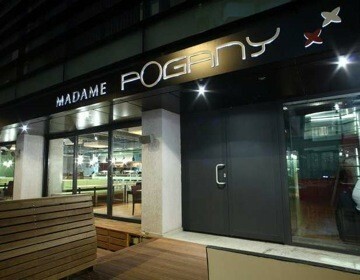 You can find here description, reviews, address, map, phone, website of Madame Pogany Snack in Bucharest. Visit Bucharest Tips for more Snack restaurants in Bucharest!